^ "Susan Fenimore Cooper". Retrieved 2011-11-21. ^ "TimesMachine: September 18, 1851". The New York Times. September 18, 1851. Retrieved 2016-07-07. (Subscription required (help)). ^ Cooper, James Fenimore. "Old Ironsides". James Fenimore Cooper Society. Retrieved 2012-07-22. 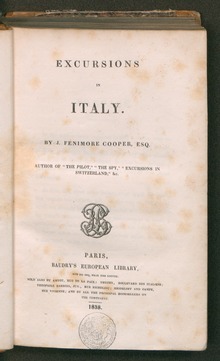 ^ "Fenimore Cooper's Literary Offences". Etext.virginia.edu. Retrieved 2012-12-24. ^ "SUNY Oswego – Penfield Library: Who Were Our Buildings?". Oswego.edu. October 1, 1966. Retrieved 2012-12-24. ^ James Fenimore Cooper (December 1, 2003). "Precaution". Gutenberg.org. Retrieved 2012-12-24. 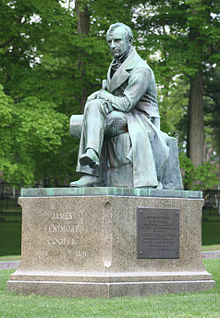 ^ James Fenimore Cooper (February 1, 2006). "The Spy". Gutenberg.org. Retrieved 2012-12-24. ^ James Fenimore Cooper (August 1, 2000). "The Pioneers". Gutenberg.org. Retrieved 2012-12-24. ^ James Fenimore Cooper (August 1, 2000). "Tales for Fifteen, or, Imagination and Heart". Gutenberg.org. Retrieved 2012-12-24. ^ James Fenimore Cooper (April 1, 2005). "The Pilot: A Tale of the Sea". Gutenberg.org. Retrieved 2012-12-24. 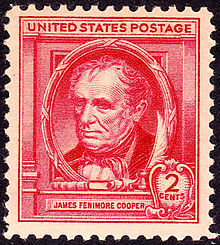 ^ James Fenimore Cooper (February 5, 2006). "The Last of the Mohicans; A narrative of 1757". Gutenberg.org. Retrieved 2012-12-24. ^ James Fenimore Cooper (September 1, 2004). "The Prairie". Gutenberg.org. Retrieved 2012-12-24. ^ James Fenimore Cooper (March 1, 2004). "The Red Rover". Gutenberg.org. Retrieved 2012-12-24. ^ James Fenimore Cooper (September 1, 2005). "The Wept of Wish-Ton-Wish". Gutenberg.org. Retrieved 2012-12-24. ^ James Fenimore Cooper (May 1, 2004). "The Water-Witch or, the Skimmer of the Seas". Gutenberg.org. Retrieved 2012-12-24. ^ James Fenimore Cooper (December 1, 2003). "The Bravo". Gutenberg.org. Retrieved 2012-12-24. ^ James Fenimore Cooper (February 1, 2004). "The Headsman". Gutenberg.org. Retrieved 2012-12-24. ^ James Fenimore Cooper (May 1, 2003). "The Monikins". Gutenberg.org. Retrieved 2012-12-24. ^ "The Eclipse". Etext.lib.virginia.edu. Retrieved 2012-12-24. ^ James Fenimore Cooper (July 22, 2004). "A Residence in France". Gutenberg.org. Retrieved 2012-12-24. 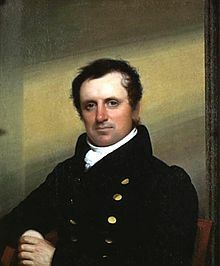 ^ James Fenimore Cooper (February 1, 2006). "Homeward Bound; Or, the Chase". Gutenberg.org. Retrieved 2012-12-24. 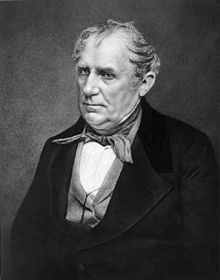 ^ James Fenimore Cooper (November 1, 2003). "Home as Found". Gutenberg.org. Retrieved 2012-12-24. ^ "Old Ironsides". External.oneonta.edu. Retrieved 2012-12-24. ^ James Fenimore Cooper (September 1, 1999). "Pathfinder; or, the inland sea". Gutenberg.org. Retrieved 2012-12-24. ^ James Fenimore Cooper (April 1, 2004). "The Wing-and-Wing". Gutenberg.org. Retrieved 2012-12-24. ^ James Fenimore Cooper (September 1, 2000). "Autobiography of a Pocket-Handkerchief". Gutenberg.org. Retrieved 2012-12-24. ^ James Fenimore Cooper (December 1, 2003). "Wyandotté, or, The Hutted Knoll". Gutenberg.org. Retrieved 2012-12-24. ^ James Fenimore Cooper (January 1, 2006). "Ned Myers, or, a Life Before the Mast". Gutenberg.org. Retrieved 2012-12-24. ^ James Fenimore Cooper (August 1, 2005). "Afloat and Ashore: A Sea Tale". Gutenberg.org. Retrieved 2012-12-24. ^ James Fenimore Cooper (February 1, 2004). "Miles Wallingford". Gutenberg.org. Retrieved 2012-12-24. ^ "Satanstoe; Or, the Littlepage Manuscripts. 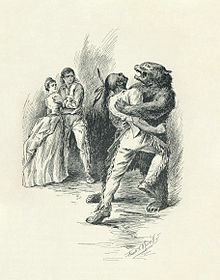 A Tale of the Colony by Cooper – Project Gutenberg". Gutenberg.org. September 1, 2005. Retrieved 2012-12-24. ^ "The Crater by James Fenimore Cooper – Project Gutenberg". Gutenberg.org. March 1, 2004. Retrieved 2012-12-24. ^ "Jack Tier by James Fenimore Cooper – Project Gutenberg". Gutenberg.org. December 1, 2003. Retrieved 2012-12-24. 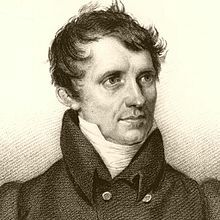 ^ "Oak Openings by James Fenimore Cooper – Project Gutenberg". Gutenberg.org. July 1, 2003. Retrieved 2012-12-24. ^ "The Sea Lions by James Fenimore Cooper – Project Gutenberg". Gutenberg.org. December 1, 2003. Retrieved 2012-12-24. ^ "The Lake Gun by James Fenimore Cooper – Project Gutenberg". Gutenberg.org. September 1, 2000. Retrieved 2012-12-24. ^ "New York by James Fenimore Cooper – Project Gutenberg". Gutenberg.org. January 1, 2001. Retrieved 2012-12-24. Wright, Wayne W. (1983). Hugh C. MacDougal, ed. "The Cooper Genealogy". New York State Historical Association. This page was last edited on 9 April 2019, at 14:39 (UTC).